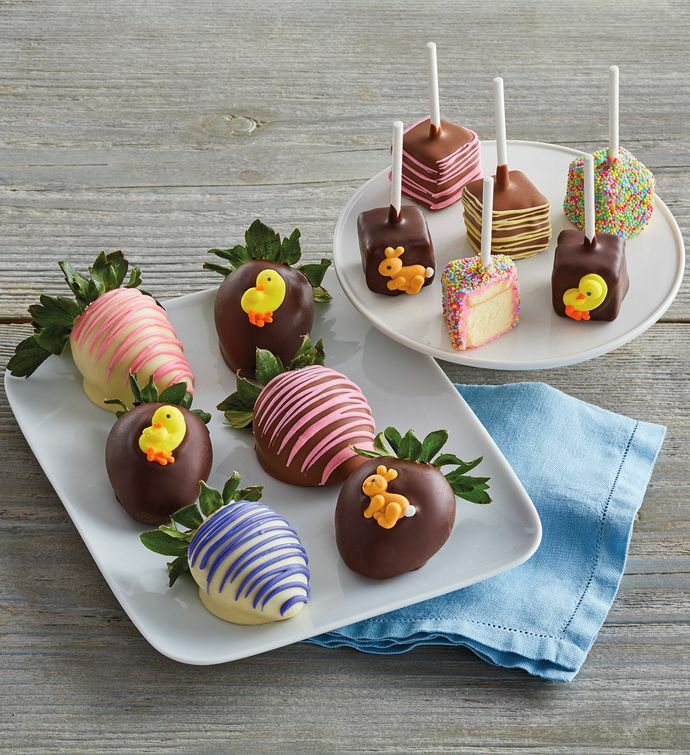 The combination of chocolate-covered strawberries and rich cheesecake pops is an indulgent and decadent pairing for Easter. Hand-dipped in pure milk, white, or dark Belgian chocolate, the extra-large strawberries and cheesecake pops in this gift are hand-decorated with colored chocolate drizzle and playful icing bunnies and chicks. These Easter treats are a sweet and elegant celebration.